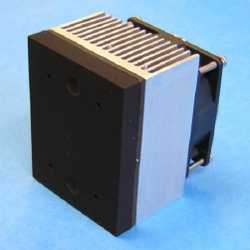 Bodkin Design & Engineering has custom-engineered a blackbody infrared radiance standard for Marvin Test Solutions, to integrate into their modular target simulators. The blackbody unit supplied by BD&E is a derivative of their MRDT-50 infrared calibrator product, originally developed to calibrate infrared tracking cameras at White Sands missile range. Marvin Test Solutions incorporates the device into its MTS-916 series of Modular Target Simulators. The MTS-916 is part of a suite of armament and munitions test solutions that support the testing and verification of optically-guided weapon systems such as Maverick or Hellfire missiles. The testing of optically-guided weapons is complex, and a complete test solution requires a device such as the MTS-916 to simulate either a stationary or moving target. Target simulation ensures that the optical seeker can track and terminally guide the weapon to the target. Bodkin Design & Engineering has recently been working with MassMEP, a resource committed to manufacturing growth in the state of Massachusetts, to grow their OEM business profile. The Company considers this particular opportunity a stepping stone to success in increasing their manufacturing capabilities, as well as helping the state to reach their goals. Visit us at Photonics West, booth #2610, from January 30 – February 1, 2018 at the Moscone Center in San Fransisco. Bodkin Design and Engineering, LLC has been providing electro-optic engineering and custom manufacturing as well as test and R&D services since 2003. Headquartered in Newton, Massachusetts, the company serves the international OEM, commercial, military, and research communities. BD&E has overseen the successful introduction of products in a wide range of markets from calibration equipment for infrared imaging (IRblackbody.com), to a patented line of video rate hyperspectral imagers (hyperspectralimagers.com). To learn more, visit us at www.bodkindesign.com. For more information or questions about products and pricing, please contact Bodkin Design & Engineering at info@bodkindesign.com. Marvin Test Solutions, a vertically integrated aerospace test and measurement company, has delivered innovative, feature-rich test solutions for factory, flightline, intermediate-level, and depot-level applications since 1988. As a member of The Marvin Group, an award-winning aerospace company with a 50-year history in the Defense and Commercial Aerospace industries, Marvin Test Solutions has test equipment deployed in support of most of the major defense aircraft and munitions in use around the world. Marvin Test Solutions quickly delivers full-spectrum, successful test solutions – making test, maintenance, and sustainment of the most mission-critical systems easier and faster. 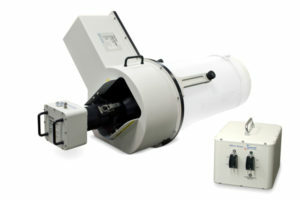 To learn more about Marvin Test Solutions, visit www.marvintest.com.